In today’s rapidly changing and evolutionary world of smartphones and smart gadgets we see new technology every day. Mobile phone manufacturers have the mutual competition of producing the best to attract most of the customers and being the number one in the race. The end user is attracted to the efforts of the smart minds, and they tend to buy new phones. What is painful in the scenario is when you upgrade or change your phone, and you have to leave your data on the previous phone. As per the today’s trend, we should be available with all our useful stuff on the go. What if we are changing our phone and we need to copy all our data into the new phone. The possible methods are connecting the old phone to the computer, doing the entire data backup to the computer then connecting the new phone and moving all that saved stuff. Don’t you think it’s irritating and too much time consuming? Wouldn’t it be better to have any software or utility which with a single click will move or copy all our data from the previous phone to the new phone? It will be an extra advantage if the software is capable of transferring the stuff without any restriction on the mobile software version i.e. is it Android/iOS/Blackberry/Windows. 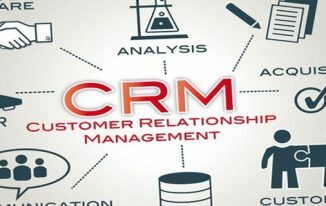 It means we are looking for a software solution which is capable of transferring the data across the devices. Hold your breath as your wish has been granted and we have the solution in hand. Yeah, you have read the last line correctly. 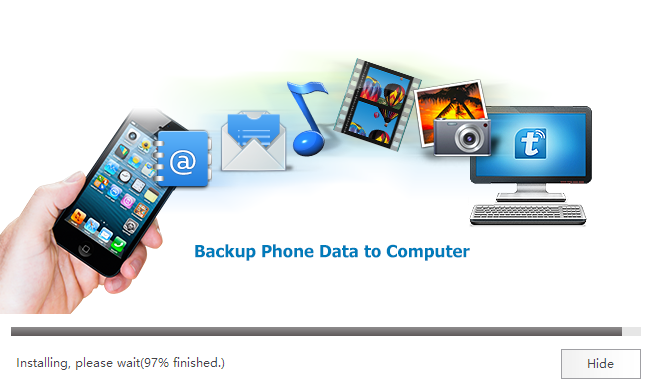 Dr.Fone Toolkit is the complete package for all your data transfer and backup needs. 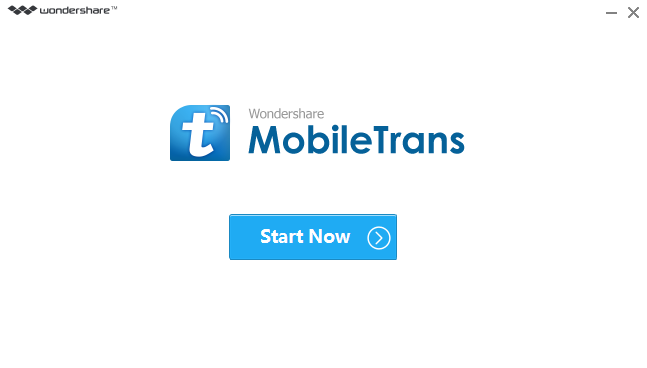 Mobile Trans Data Transfer by Wondershare is the software we are talking about. For the iPhone users, this is equivalent to a dream come true as the new iPhone has already been announced and they must be thinking to upgrade their existing Android phone with the latest iPhone 7. Now they can easily take their data along and successfully move all of their stuff to the new phone with the help of Mobile Trans Phone Transfer. Follow the below steps to successfully transfer the data from Android to iPhone 7. Download and Install the Software: First you need to get the genuine copy of the software from the official website of Dr. Fone. 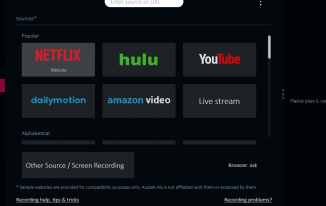 You can download the software from the official site. Once downloaded, run the .exe file to begin the installation. Setup is simple and easy step by step guide which you can follow the on-screen instructions. Start the Program: Once the installation is completed, you can see the downloaded software icon on the desktop or alternatively you can start it from the all programs listing. Select Option: As the software is a multi-purpose utility. 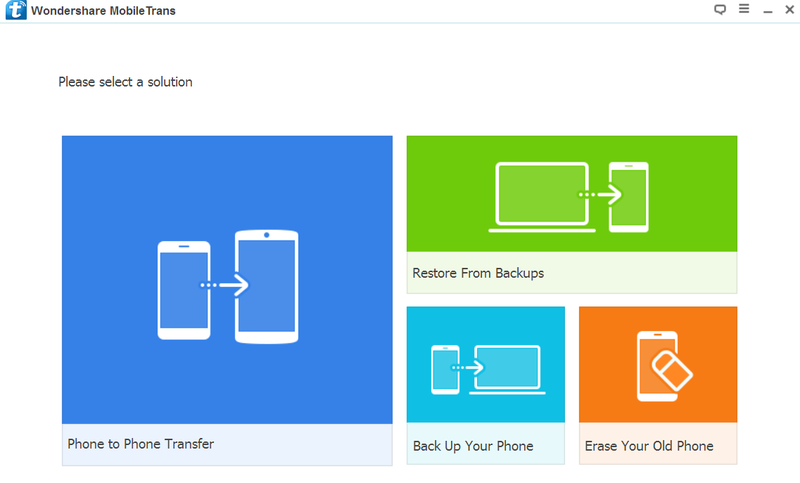 You get the options to backup your phone, get data from any previously saved backup, completely erasing the phone data along with phone to phone transfer. In our case, we are demonstrating you transferring data from Android to iPhone. Connect Devices: Connect both the devices, i.e. one source device from which you wish to transfer data and one destination device which is intended to receive the data. Once you connect the devices, a little progress bar will follow up, and you will see devices connected successfully after a little. If you are seeing source and destination phones reversely, you can flip the devices from the software In the middle, you will see the listing of file types to select which you want to copy to the new phone. Start Transfer: Once you have decided, which files you need to transfer, click on the Start Transfer button in the middle. Within minutes you will get the files If you have noticed on the on the previous screen, we have an option to “Clear data before copy.” If you have checked that particular option, then the files will be cleared from the source phone. If the option is unchecked, files will stay in the previous phone as well. As a strict warning, please do not disconnect any of the devices during the process else the transfer will be terminated in between. Check the Files: Once the transfer is done, disconnect both the devices and you will be seeing all the files on the new device. If you have not checked the clear files option, then all files will be residing in the source phone as well. I have tried the software for my data transfer between Lenovo Vibe K5 Plus which is having Android and Apple iPhone 5. The data transfer was smooth and within a single click. 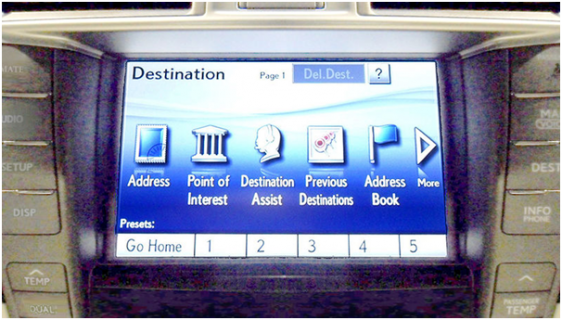 The user interface is pretty simple, and you don’t need to be from any technical background. The software package is small in size, and the installation is not too complicated. 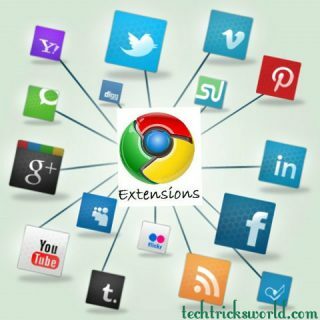 By following the simple steps, you can install the package and effectively use without any issues or troubleshooting. Give it a try; you will also be saying the same. Mobile Trans Phone Transfer from Wondershare’s Dr. Fone is a great software program to transfer all the data including text messages from your old phone to another. And, as you read in the review, it doesn’t need you to be a techie. Just use the software, and things will be done just naturally. Meghraj graduated in Electronics and Communication Engineering and currently working as Automation Engineer. He loves writing on the topics including tech, programming, lifestyle, fashion, medical, etc. Thanks for sharing such an informative post. There has always been a problem for sharing file between iPhone and Android. I have been using Extensive Compatibilty for transferring of file and it has proved to be much more effective. Great post mate. I think it is really a big blunder while switching from Android to iOS. It happens with me last year while switching from nexus to iPhone 6. I tried using share it to transfer all photos and videos as well as contacts but I ended up with a mess as it was disconnecting itself while transferring. I tried using xender too. Later it worked like a charm, I think SHAREit must have fixed all the bugs now. Been using it for a while. Anyhow nice post. And it will be useful for all those who are switching from Android to iOS. Thanks for the fantastic post! As I am an iPhone user myself, I have faced a lot of difficulties while transferring the data or to grab data from another Android phones. The steps show in this blog are very easy to learn and are effective which helped me a lot. Thanks again.